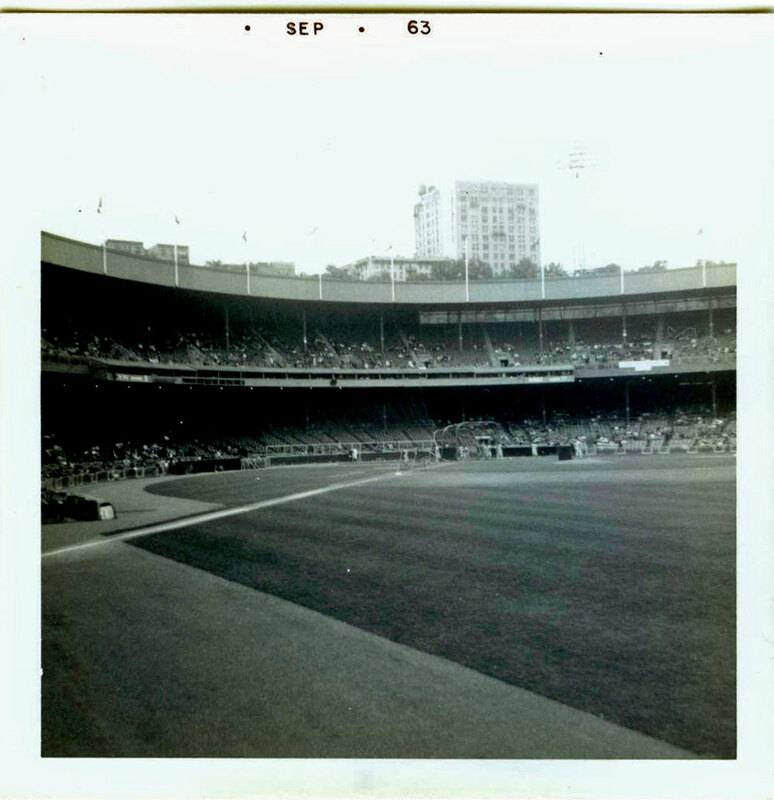 Earlier I posted some great fan photos from the last summer of baseball at old Crosley Field in Cincinnati, but how about the last weekend (specifically the last Sunday) of baseball at the late, great Polo Grounds (Mets would move into brand new Shea Stadium in 1964)? 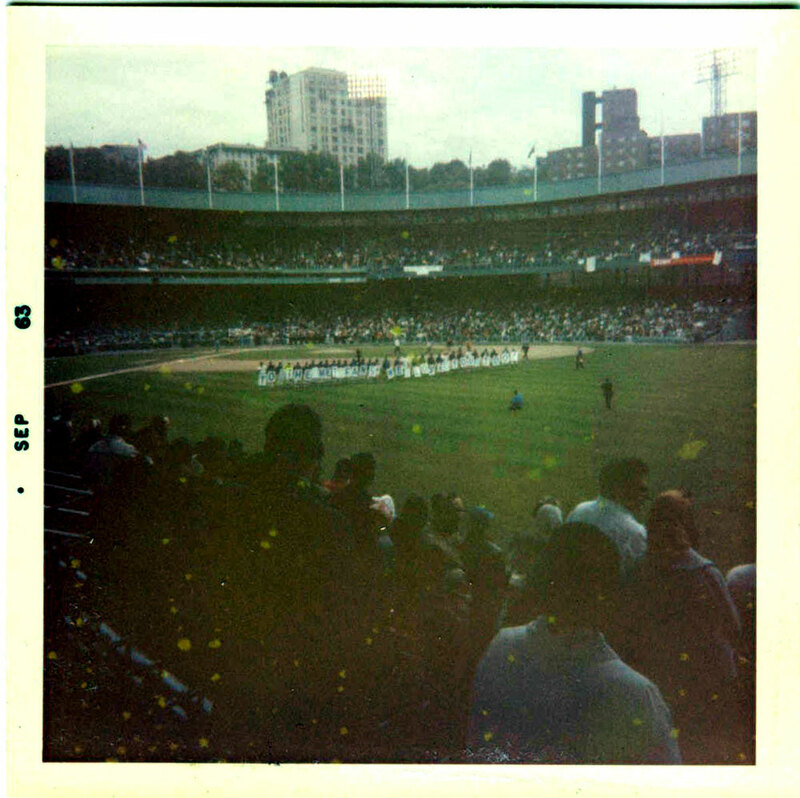 And what better way to send off the old park, but to have the very first Mets’ Banner Day! 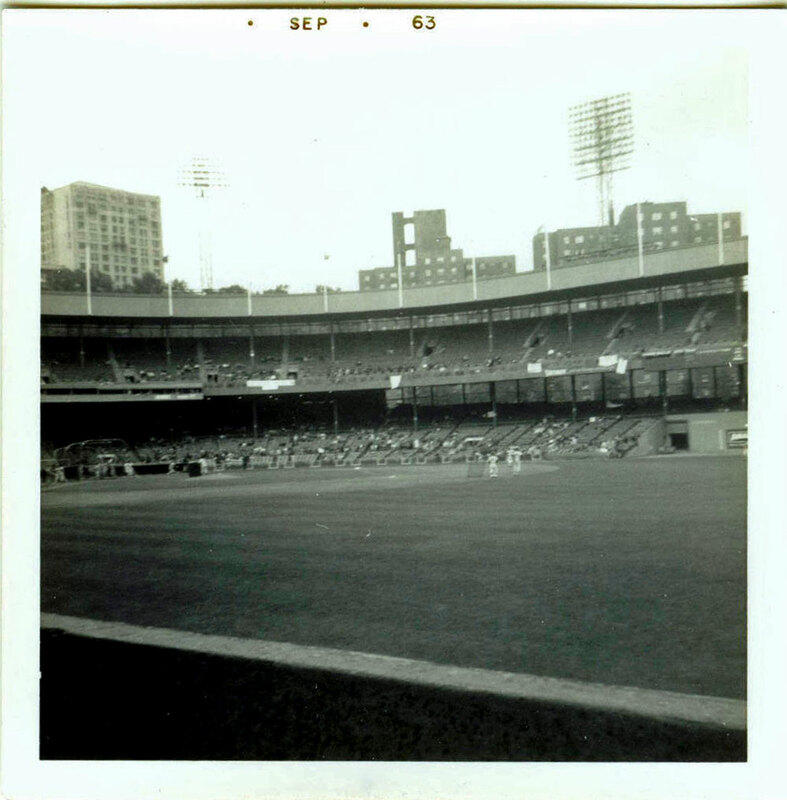 Sunday, September 15, 1963, a doubleheader against the Houston Colt .45’s (wouldn’t be the Astros until ’65). 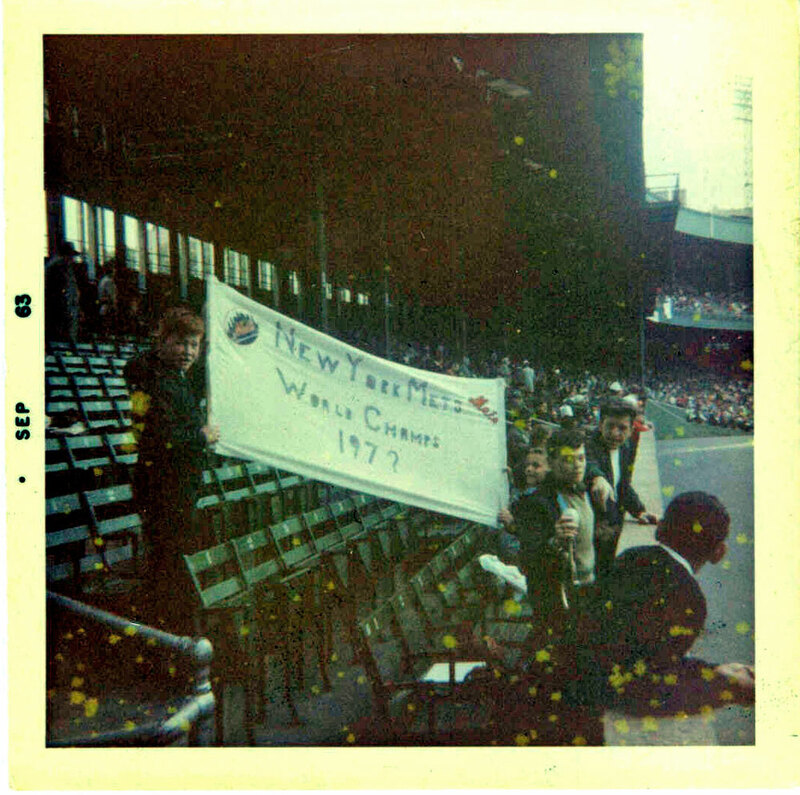 Between games, the Mets elected to have fans come out on the field and parade banners for all to see. 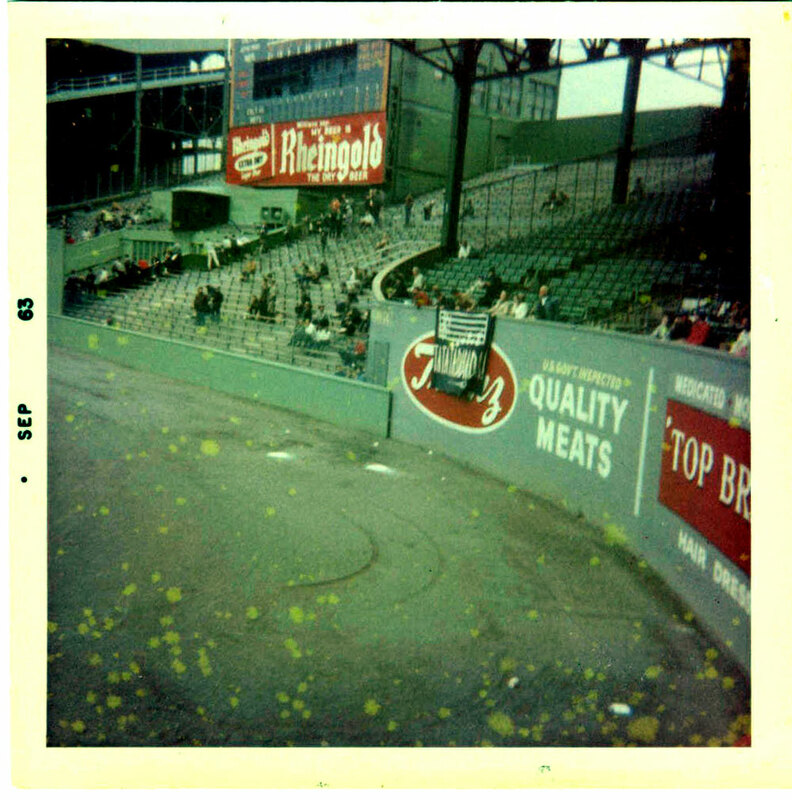 Photos are mainly banners taken in the stands afterward. 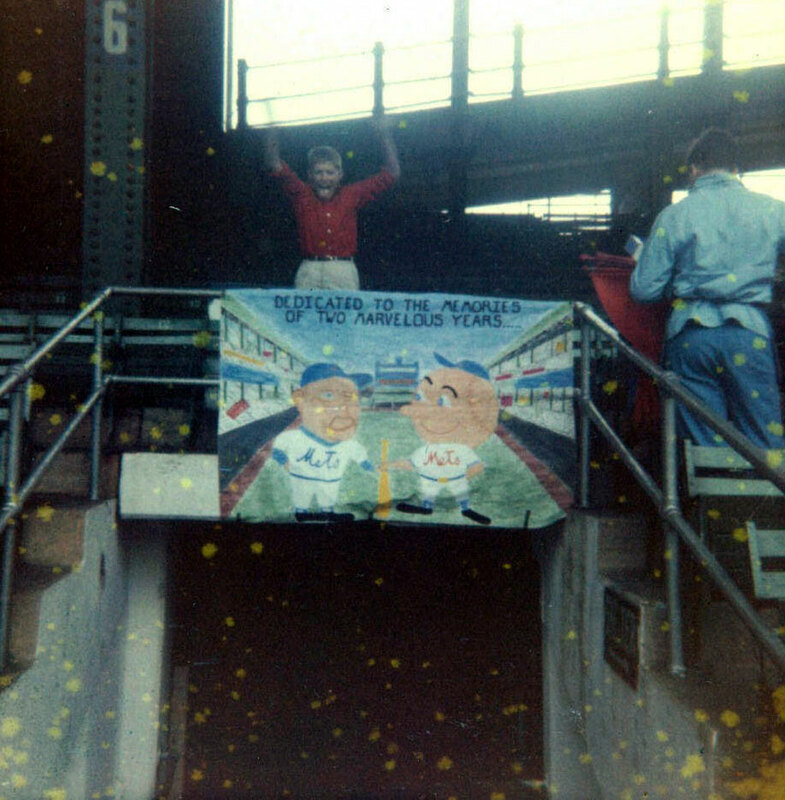 Notice the one banner hoping for a Mets championship in the 1970’s (they wouldn’t have to wait that long! 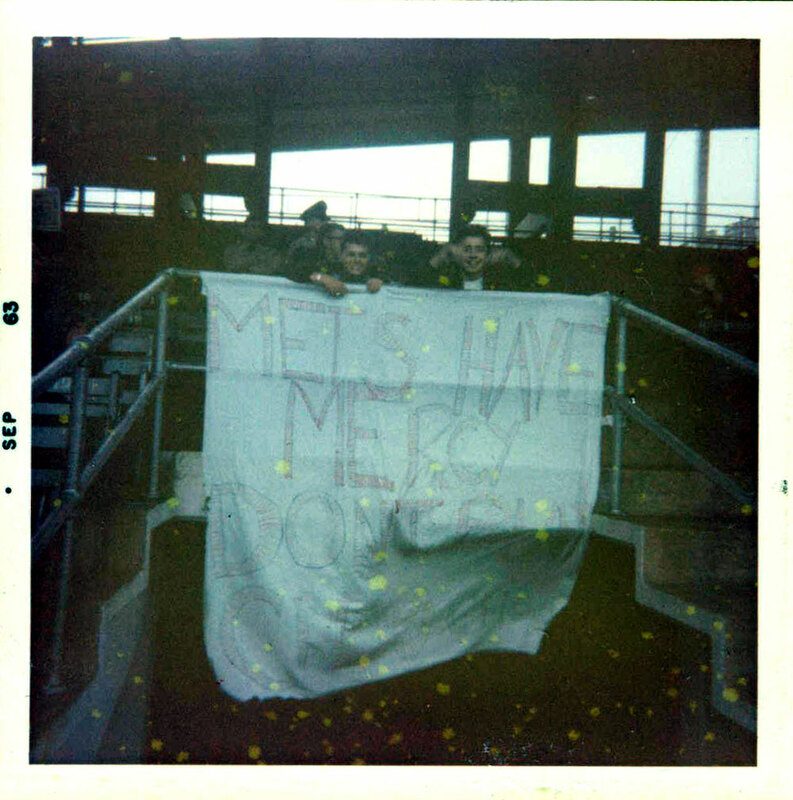 ), others don’t particularly care for the Mets’ catcher Choo-Choo Coleman, and the Mets’ own banners, spelling out TO THE METS FANS! WE LOVE YOU TOO! 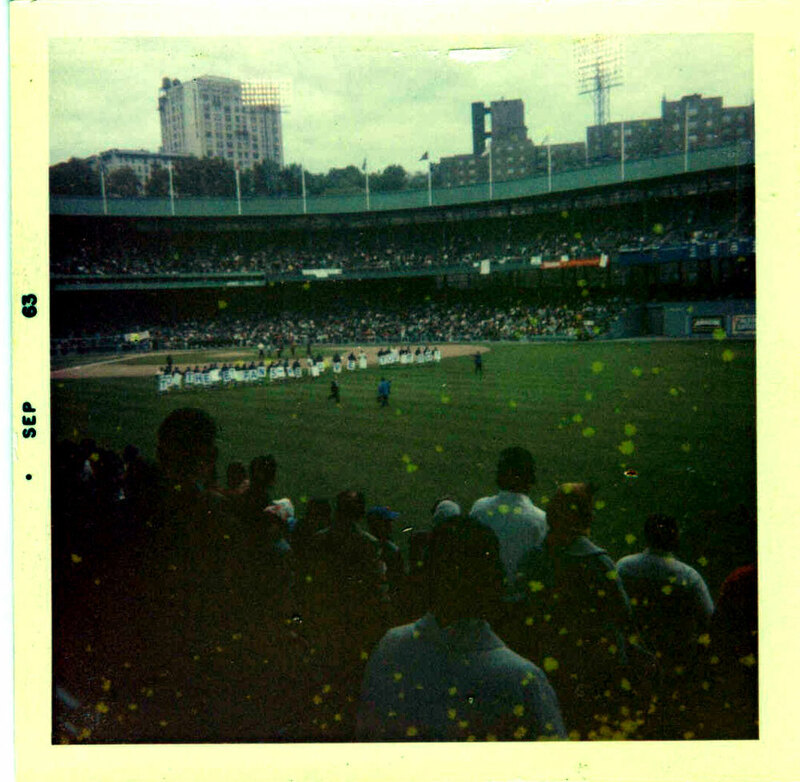 Also, the last one is poignant, a nice tribute to the two years the Mets spent there. 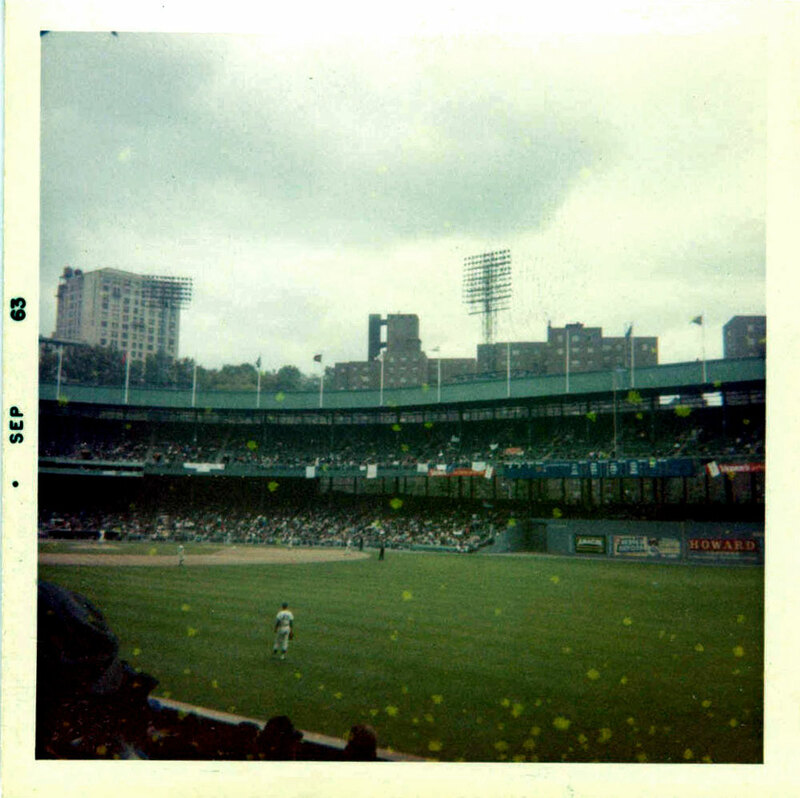 Photos are a little deteriorated but still great; from a cool Mets blog. As always, click on the photos for larger versions. So pop open a Rheingold, light up a Viceroy, and enjoy. 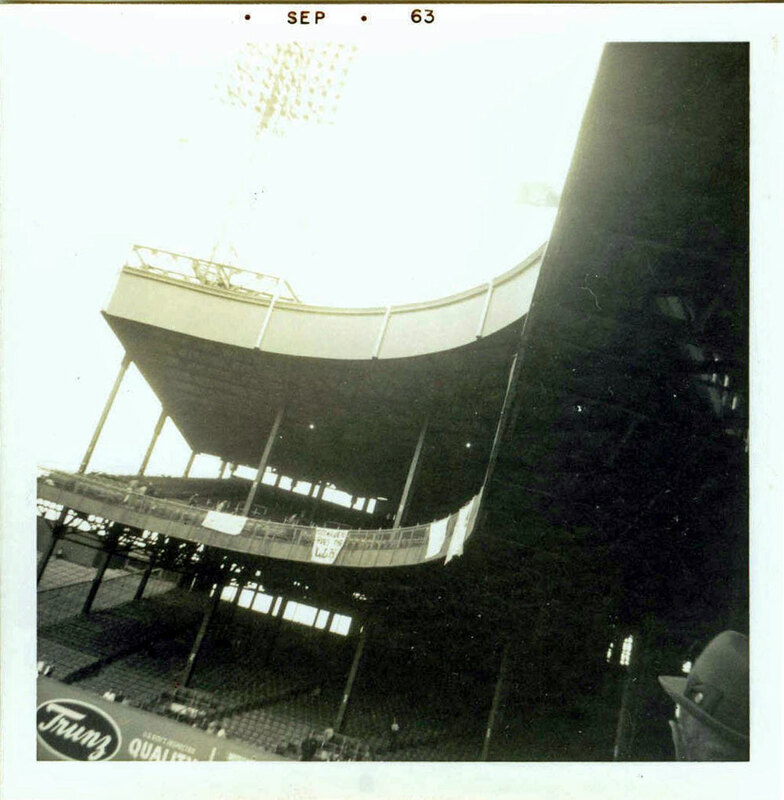 Incidentally, the Mets lost the doubleheader, 5-4 and 5-0, and were already firmly in last place (they wouldn’t escape the cellar until 1966). 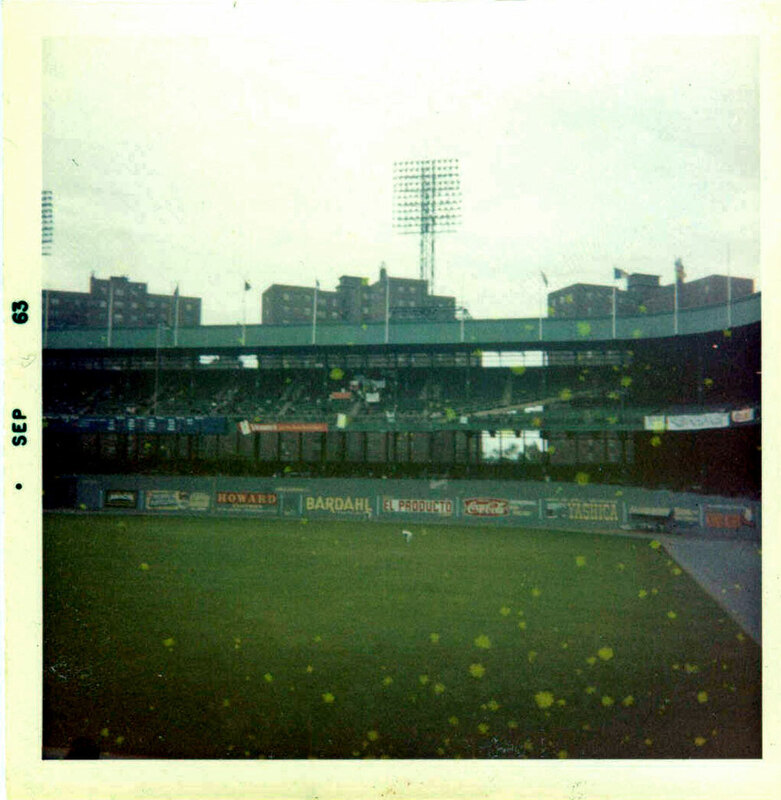 And sadly, there would be only two more baseball games at the Polo Grounds, with the final game that Wednesday, when only 1,752 fans saw the Mets lose to the Phillies, 5-1. And in March 1964, the wrecking ball came.